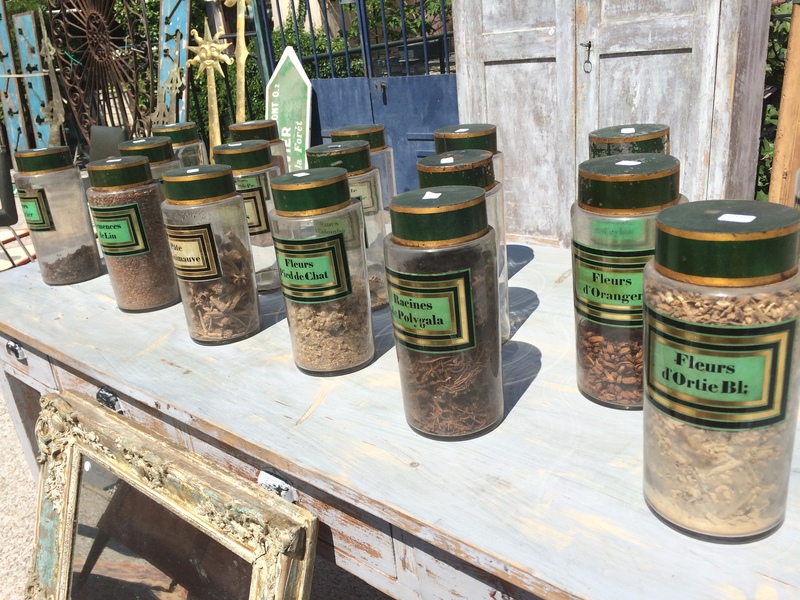 Sunday here really wouldn’t be Sunday without a trip to L’Isle Sur La Sorgue market and today was no exception, particularly as I had noticed that there would be an extended Brocante market over the Pentecost Bank Hoilday. 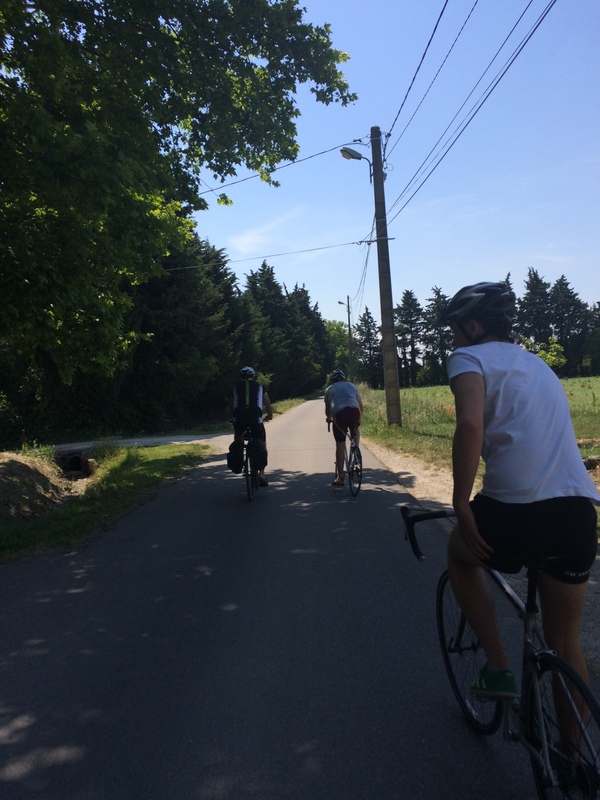 Once again the boys accepted their fate & happily cycled through the lanes to the town. Last week the market had been relatively quiet, but today it had exploded and some of the narrower streets were so busy it was hard just to walk through them, let alone actually look at many of the stalls as it seemed you were just having to move forward with the crowd. 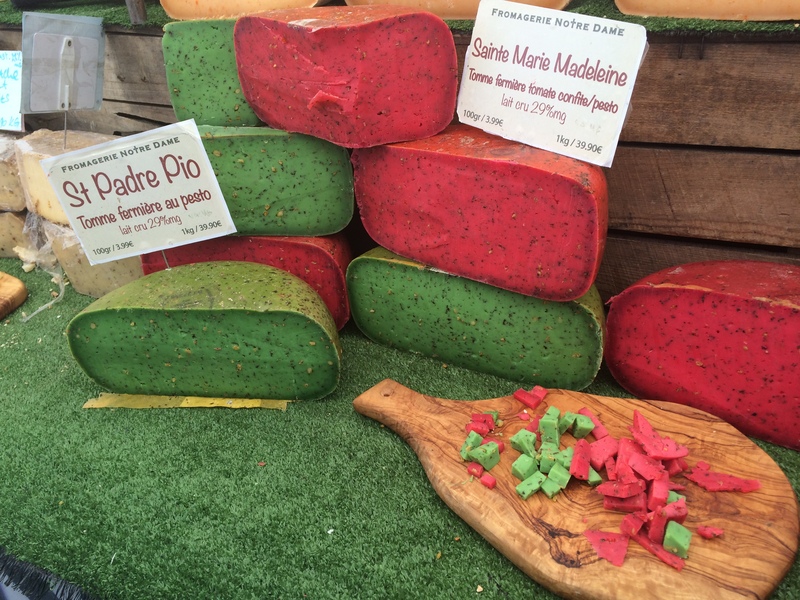 We did though manage to buy some more ‘Truffle Cheese’ and I was rather tempted by the beautifully coloured pesto or tomato cheese on the same stall, but all in all it wasn’t the easiest day for browsing, particularly with boys in tow. 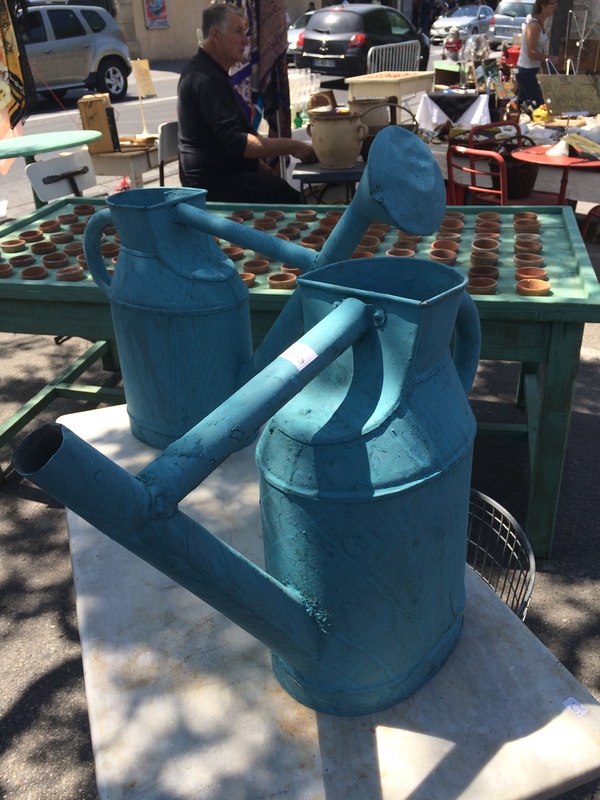 And some great bits for the garden, including these bright watering cans & potting tables, complete with old terracotta pots. We then pottered back to the house for a leisurely lunch, before taking a short cycle to Lagnes this afternoon. 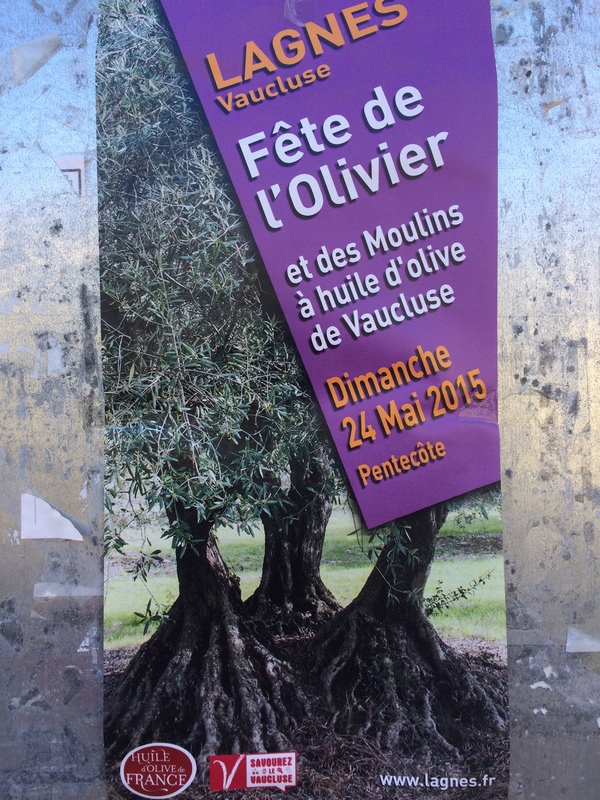 Earlier in the week I had noticed a flier for the ‘Fete de L’Olivier’ taking place in the village today and thought it would be a nice thing to visit if we had the time. We certainly had the time, so pottered over with no idea what we would find. The first thing I would say is that arriving by bike was probably the best thing as the roads into the village were busy with cars spilling out of the temporary car parks and parking along the verges. This was clearly a bigger event than we had thought, but understandable as Olive Trees are such a recognisable and fundamental feature of the area and so firmly rooted in local culture. 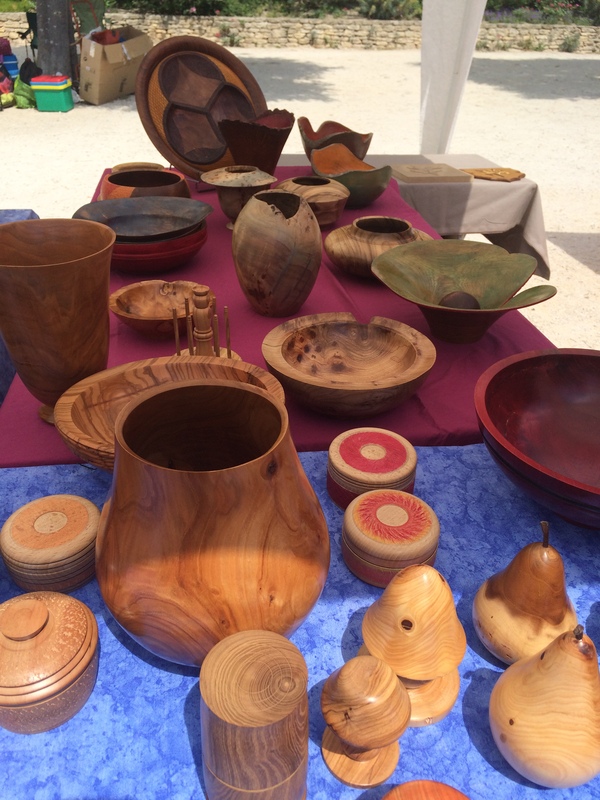 We were right – the centre of the old village had been closed to traffic to allow stalls to be set up along the roads, selling a range of local crafts, from wood turning & jewellery to iron pergolas & lavender bags. 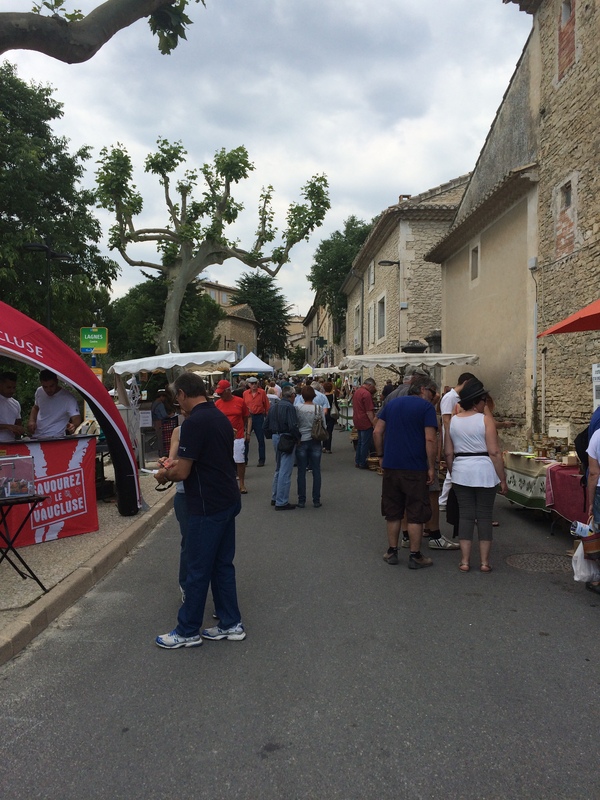 There were also local food stalls, selling biscuits & brioche, preserved fruit and of course lots of olive oils & wines from a range of local producers. 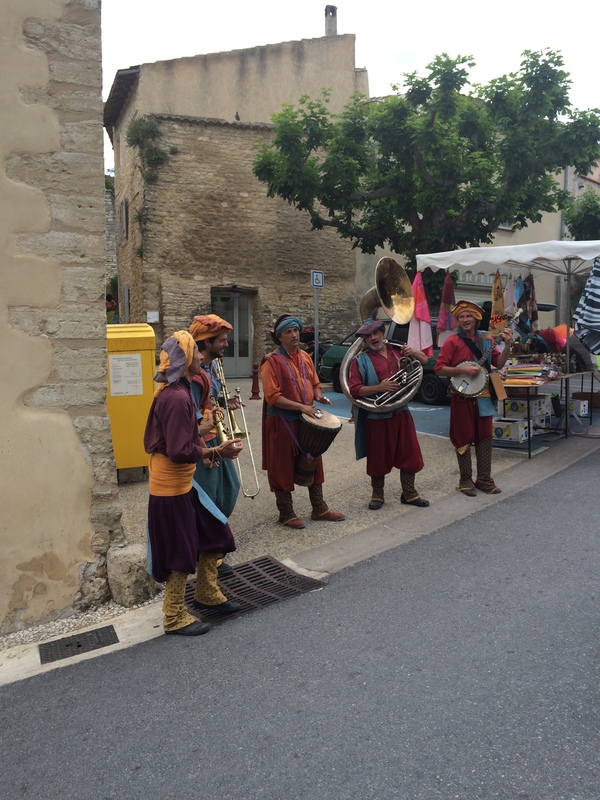 In addition there was a traditional Provencal band playing in the square outside the Church, helping to give the event a great atmosphere. It was nice to see that some of the old buildings were open, housing exhibitions of art, patchwork & photography. The photography exhibition, dedicated to olives the making of olive oil, had been set up in clock tower, which had housed the village’s communal bread oven, and has since become an exhibition spaces. 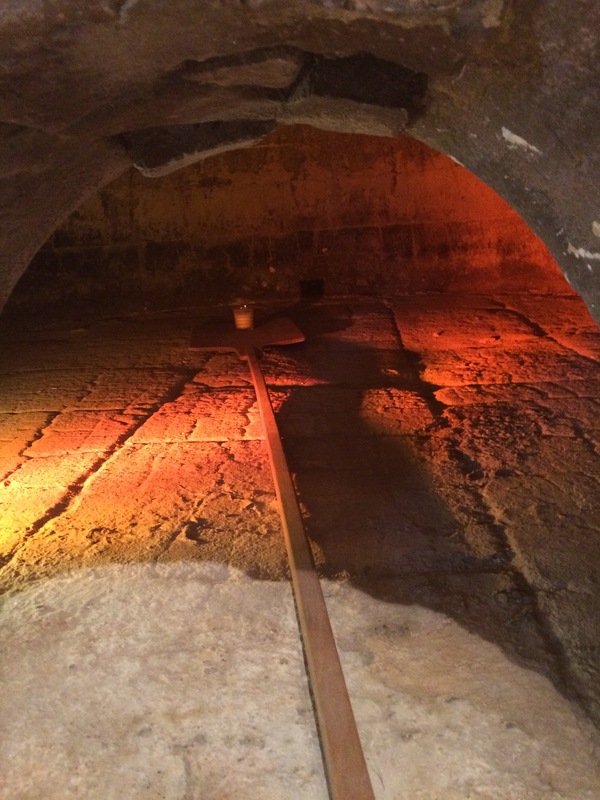 The oven, which opened for use in 1817, is still in place in the old stone building & there was a description of how it had been established and also how it had changed when villagers started to complain about the bread being badly cooked. 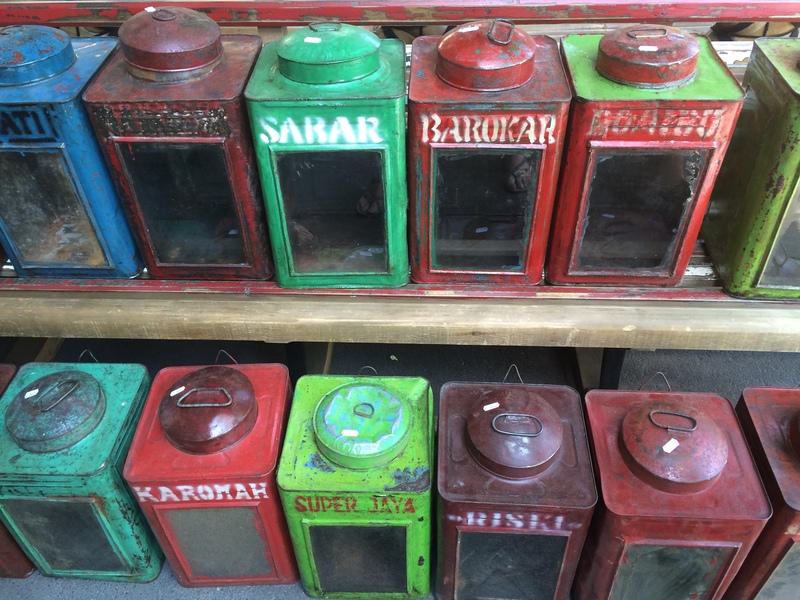 It is lovely to see such a part of village life having been preserved. All in all we had a lovely afternoon, immersed in the babble of voices around us and enjoying the atmosphere of a local village festival. It would have been easy not to have gone across, we could have just read our books or relaxed by the pool, but part of being here is experiencing what is happening in the local villages and this event was certainly worth visiting. It has certainly made me realise that I really must take more note of fliers for local fetes in future as this really was a delightful way to spend a Sunday Bank Holiday afternoon ……….